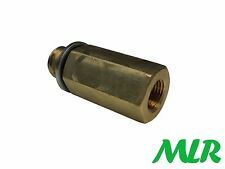 MLR M18X1.5 OIL TEMPERATURE GAUGE SUMP PLUG ADAPTOR. All engines with M18x1.5 sump plugs. This adaptor is designed to replace the standard sump plug and provide a place to fit an oil temperature gauge sender. Mini R53 2000 - 2006. Mini R52 Tritec engine only. Mini R50 2000 - 2006. MLR M14X1.5 OIL TEMPERATURE GAUGE SUMP PLUG ADAPTOR. This adaptor is designed to replace the standard sump plug and provide a place to fit an oil temperature gauge sender. 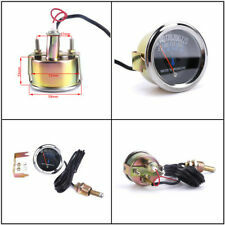 MLR M12X1.5 OIL TEMPERATURE GAUGE SUMP PLUG ADAPTOR. All engines with M12x1.5 sump plugs. 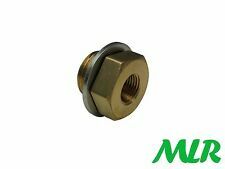 This adaptor is designed to replace the standard sump plug and provide a place to fit an oil temperature gauge sender. This is the single temperature sensor version with an audible alarm. 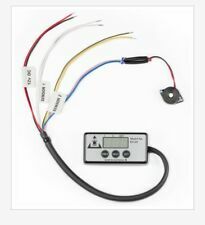 Engine Guard Temperature sensor, now available direct from the UK. Also available in 2 sensor version. engineguarduk dot co dot uk. FOR BMW E36. This is an original quality part manufactured by Bosch. FOR BMW X5 F15, F85. This is an original quality part manufactured by Bosch. 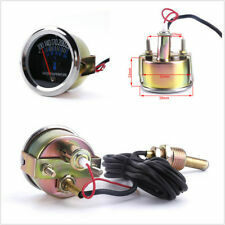 Engine Guard Temperature twin sensor and alarm. This is the twin temperature sensor version with an audible alarm. A new engine will cost you £1000's, and it's easy to fit and a fraction of the price. FOR BMW F23. This is an original quality part manufactured by Bosch. FOR BMW F33, F83. This is an original quality part manufactured by Bosch. Multiple choices exist for:BMW E3 3.0 Coolant Temperature Sensor. FOR BMW E3. This is an original quality part manufactured by Bosch. Vehicle compatibility. FOR BMW F46. This is an original quality part manufactured by Bosch. FOR BMW F45. This is an original quality part manufactured by Bosch. FOR BMW F34. This is an original quality part manufactured by Bosch. FOR BMW X4 F26. This is an original quality part manufactured by Bosch. FOR BMW X1 F48. This is an original quality part manufactured by Bosch. FOR BMW E9. This is an original quality part manufactured by Bosch. Quantity Included:1. 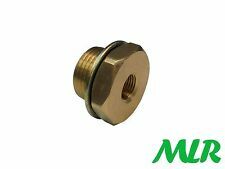 MLR M12X1.25 OIL TEMPERATURE GAUGE SUMP PLUG ADAPTOR. All engines with M12x1.25 sump plugs. 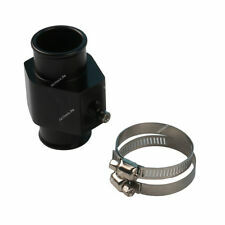 This adaptor is designed to replace the standard sump plug and provide a place to fit an oil temperature gauge sender. FOR BMW F31. This is an original quality part manufactured by Bosch. FOR BMW F32, F82. This is an original quality part manufactured by Bosch. FOR BMW F11. This is an original quality part manufactured by Lucas. FOR BMW E38. This is an original quality part manufactured by Lucas. This is an original quality part manufactured by Elta. FOR BMW E90. 2007-2011 2.0 320xd Diesel Saloon 177 bhp. This is an original quality part manufactured by Elta. FOR BMW F13. This is an original quality part manufactured by Elta. FOR BMW E38. FOR BMW E65, E66, E67. This is an original quality part manufactured by Lucas. FOR BMW E32. This is an original quality part manufactured by Bosch. Quantity Included:1. Vehicle compatibility. FOR BMW E30. This is an original quality part manufactured by Bosch. FOR BMW E30. This is an original quality part manufactured by Bosch. Quantity Included:1. Vehicle compatibility. This is an original quality part manufactured by Elta. FOR BMW F10. This is an original quality part manufactured by Elta. FOR BMW F11. FOR BMW F07. This is an original quality part manufactured by Lucas. FOR BMW X1 E84. This is an original quality part manufactured by Lucas. FOR BMW E30. This is an original quality part manufactured by Bosch. Quantity Included:1. FOR BMW F07. This is an original quality part manufactured by Elta. FOR BMW E91. This is an original quality part manufactured by Lucas. FOR BMW E65, E66, E67. This is an original quality part manufactured by Elta. FOR BMW F01, F02, F03, F04. This is an original quality part manufactured by Lucas. FOR BMW E88. This is an original quality part manufactured by Lucas. Multiple choices exist for:BMW E46 2.2 Intake Temperature Sensor. FOR BMW E46. This is an original quality part manufactured by Lucas. PART CHOICE ALERT. Vehicle compatibility. FOR BMW F01, F02, F03, F04. This is an original quality part manufactured by Elta. Multiple choices exist for:BMW E91 2.0 Intake Temperature Sensor. FOR BMW E91. This is an original quality part manufactured by Lucas. FOR BMW X6 E71, E72. This is an original quality part manufactured by Lucas. FOR BMW E64. This is an original quality part manufactured by Lucas.